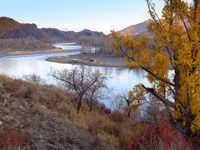 At the confluence of the biggest streams in northern Mongolia, the mighty Selenge and the meandering Egg-Uur River, our Camp Bulgan lays nestled underneath a massive granite rock, the impressive landmark of the confluence. 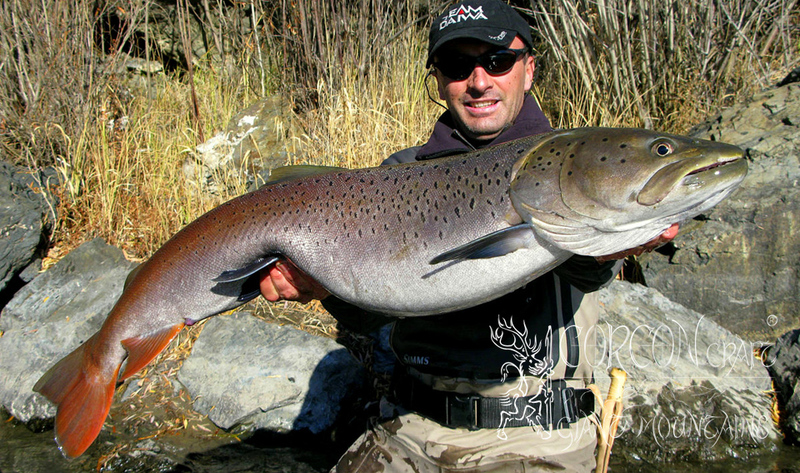 Here, at this truly magical place, the biggest record-class Taimen ever have been landed and released by a small team of German expert fishermen in 2010. 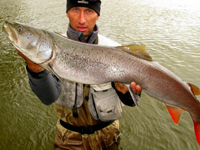 The Lenok Trout are big and plentiful, and the rivers are well-populated by younger Taimen around 1 meter (3 feet) in length, for exciting sport fishing every single day. 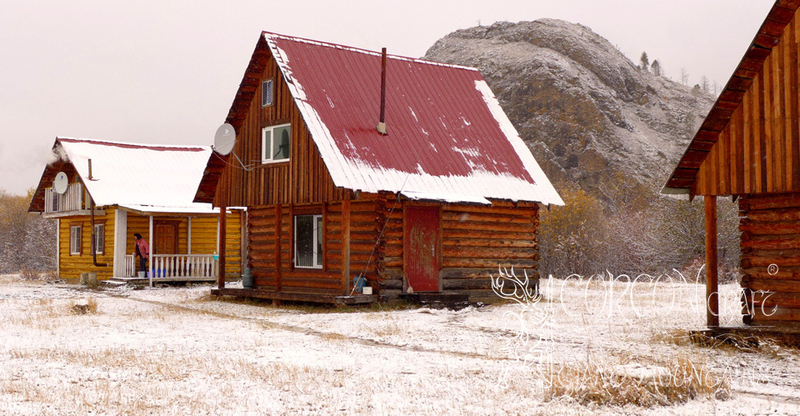 The camp is built in short walking distance from the river bank, and the “datcha” style log-cabins are equipped with classic wood stoves and solid wood furniture, the bedrooms are upstairs and feature simple wooden beds, matrasses, and basic beddings. 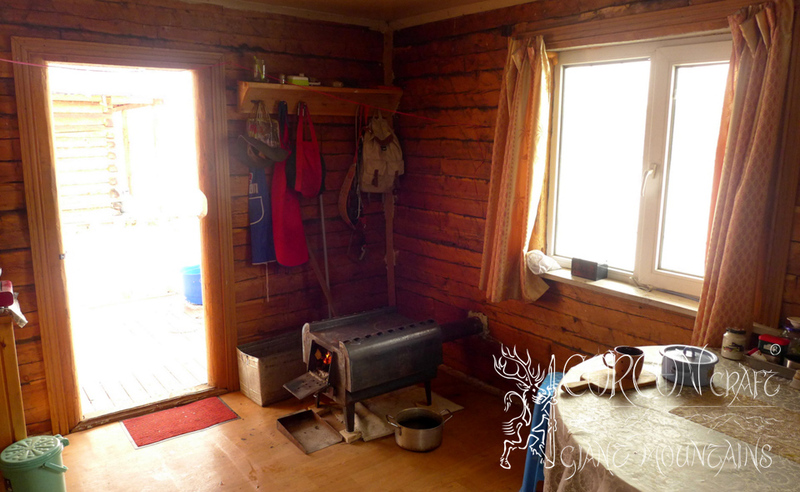 One heated bathroom with running water and a hot shower serves for the camp of 3 solid cabins, occupied by 2 or 3 fishermen each. 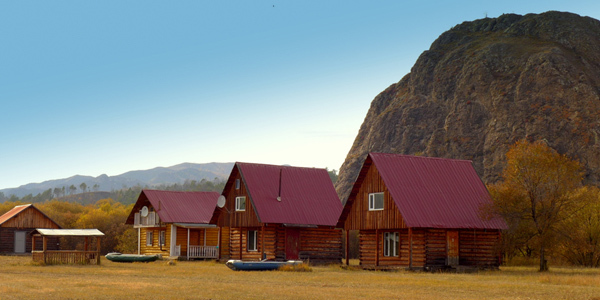 The country is a fairly wide and open river valley with picturesque hills and colorful forests of pine, larch, and birch, and these woods are full of roe deer, wild boar, wolf, and partridge and grouse, - the typical highland country in between the open steppe of northern Mongolia and the woodland taiga of southern Siberia. 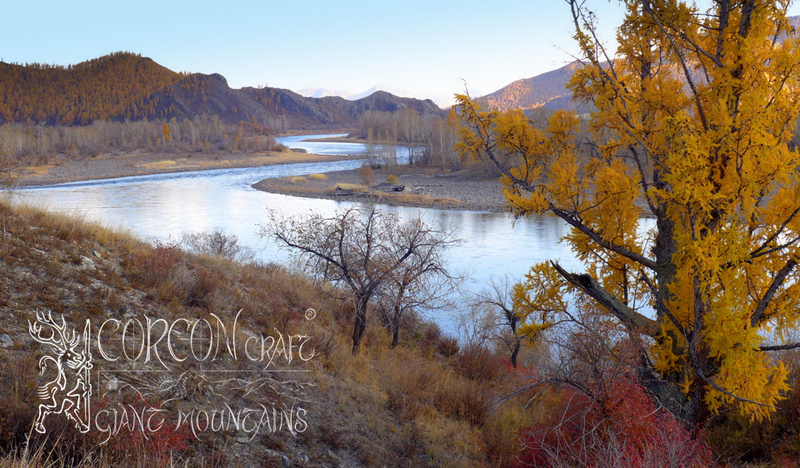 The wild rivers are neither too big, nor flowing too fast, but meandering gracefully through the valley rich of rocks, islands, crooks and side arms. 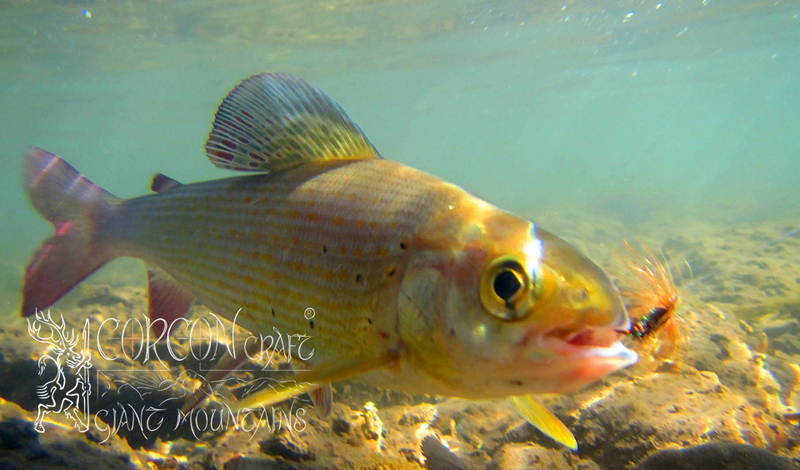 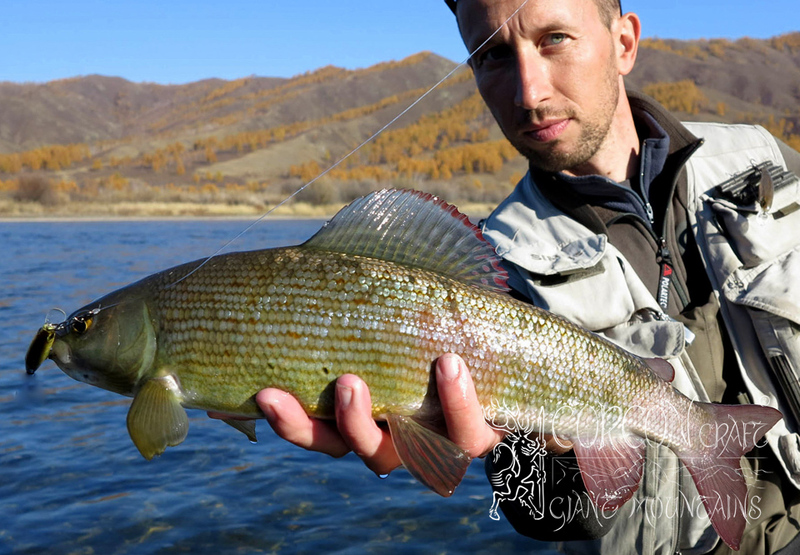 The water is typically low and clear in late season, after the raining season in summer time, and we are fishing these waters only in autumn for productive fishing by spin and fly-fishing alike. 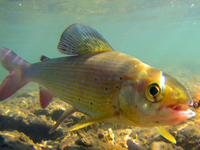 Wading can be perfectly performed from both banks (crossing the river by raft), and the river beds are of stony ground and firm gravel. 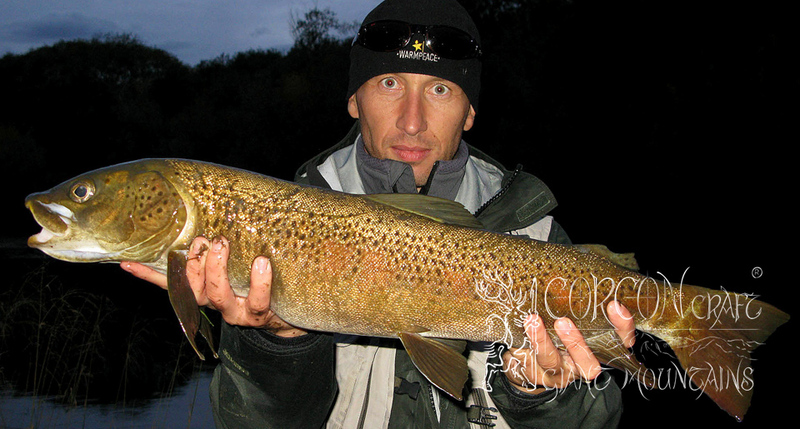 In the fall season of 2014 we have been able to land and release no less than 52 Taimen by only 3 expert fishermen from Slovakia, within one full week of intense fishing. 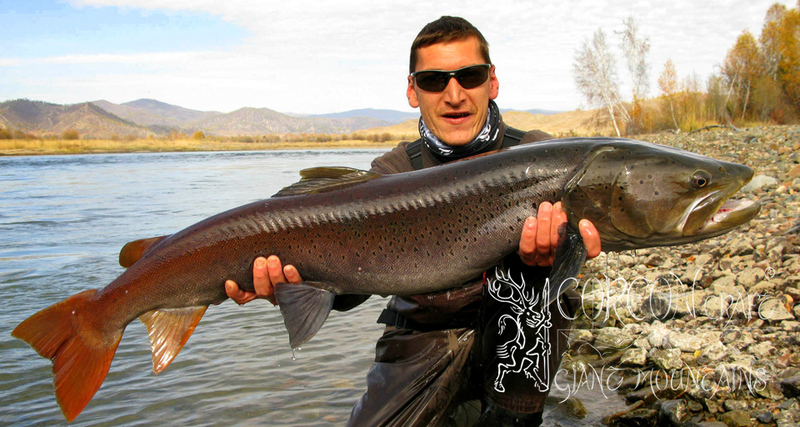 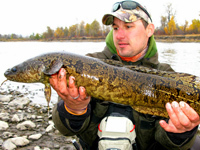 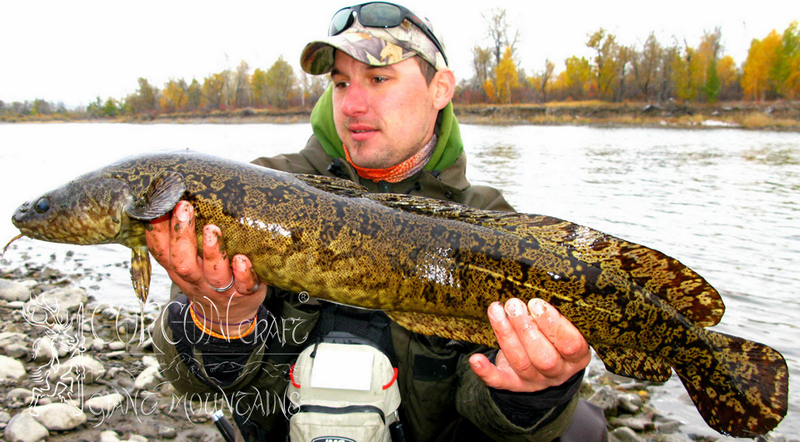 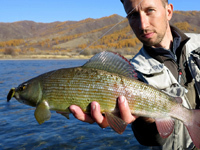 The largest trophy-class Taimen reaching 115 cm, and with countless good Lenok Trout, beautiful Baikal Grayling, and large Burbot adding to the fine sport. 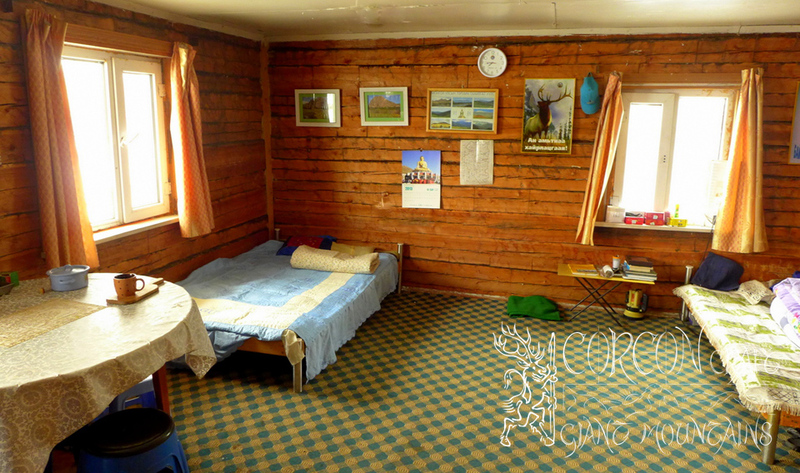 Log-cabin camp at the confluence of the Taimen rivers Selenge and Egg-Uur. 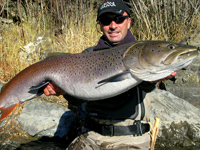 Sport fishing for Giant Taimen in the trophy and in the record-class. 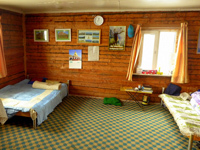 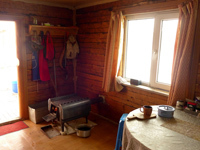 Comfortable “datcha” cabin camp with complete catering and service. 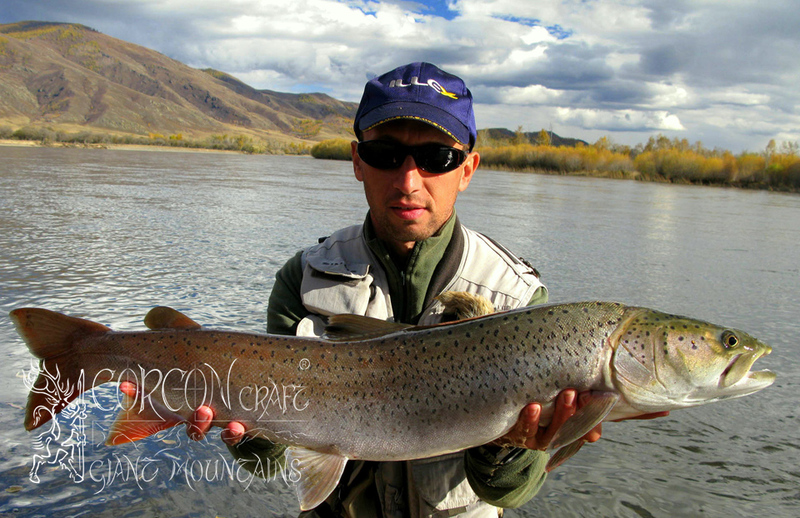 10 days tour (8 days fishing) with full board and fresh organic meals from the farm. 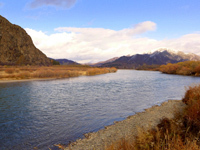 Wildlife Refuge and Taimen River Project at the Egg-Uur-Selenge watershed. 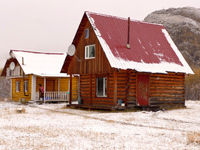 Remote area, roughly 40 miles from the next settlement and provincial town. 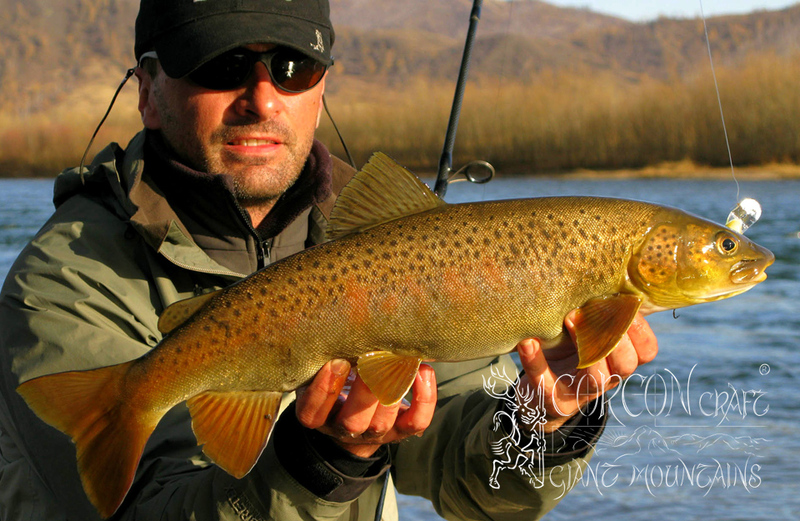 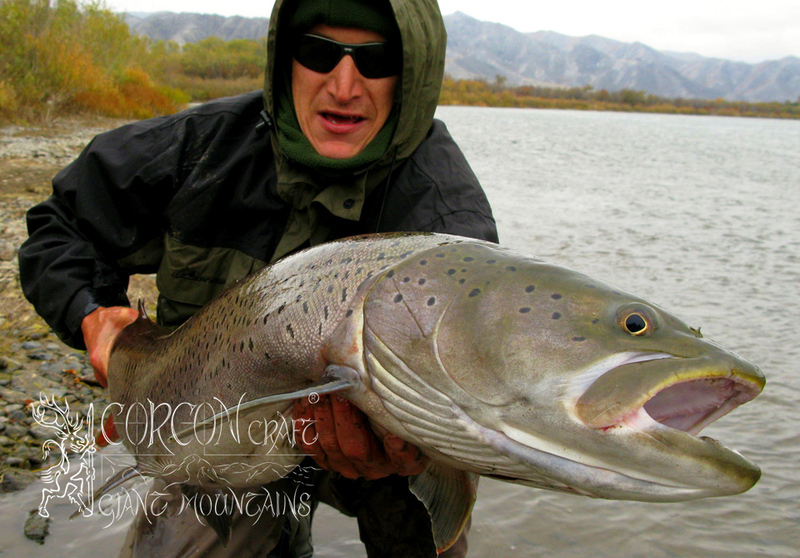 Exclusive sport fishing with special permits and limited Taimen licenses. 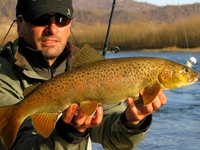 Plentiful fishing for younger Hucho Taimen and numerous Lenok Trout. 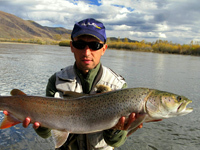 More than 50 miles of river stretches for no more than 6 - 9 anglers. 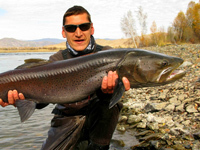 2 legendary Taimen rivers to be explored by day trips from the camp. 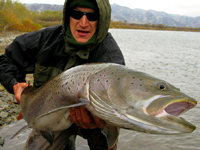 Camping gear includes rafts, off-road vehicle, tents. 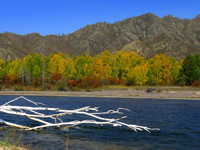 Recommended tour date in the later fall season, when water level is low and clear. 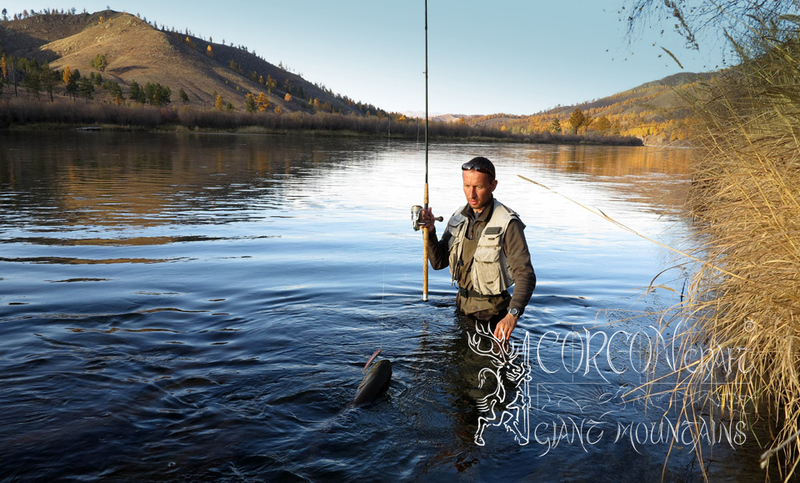 Suitable for both, spin-fishing and fly-fishing alike. 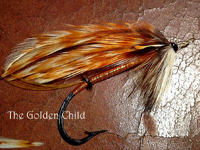 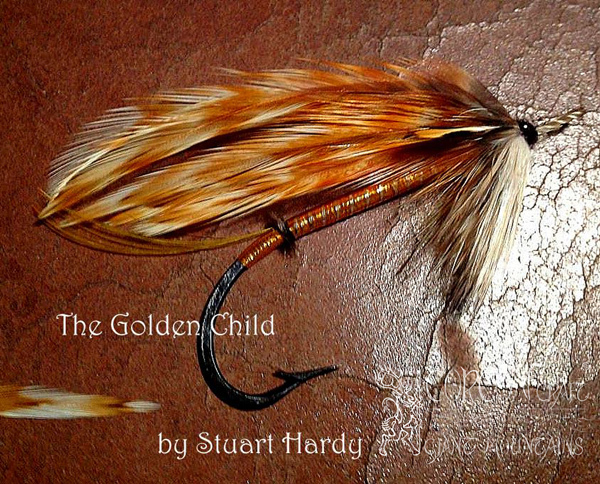 Small fine collection of special fly patterns included for each fishing guest. 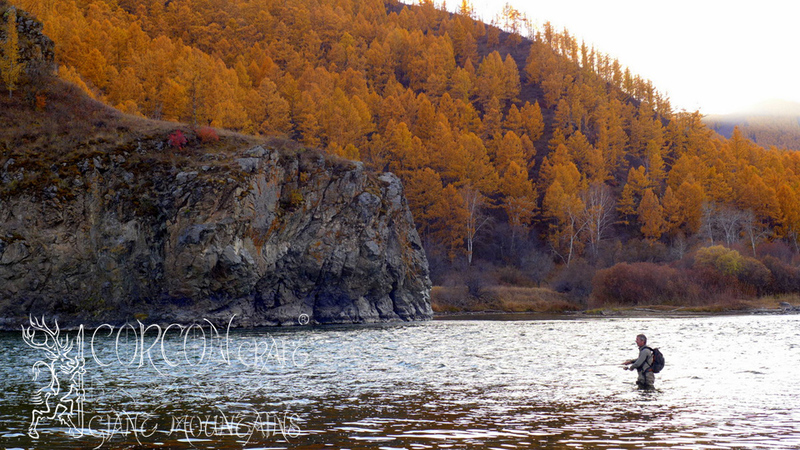 Picturesque hill country with typical taiga forest, and farmland in the river valley. 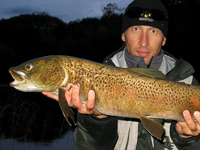 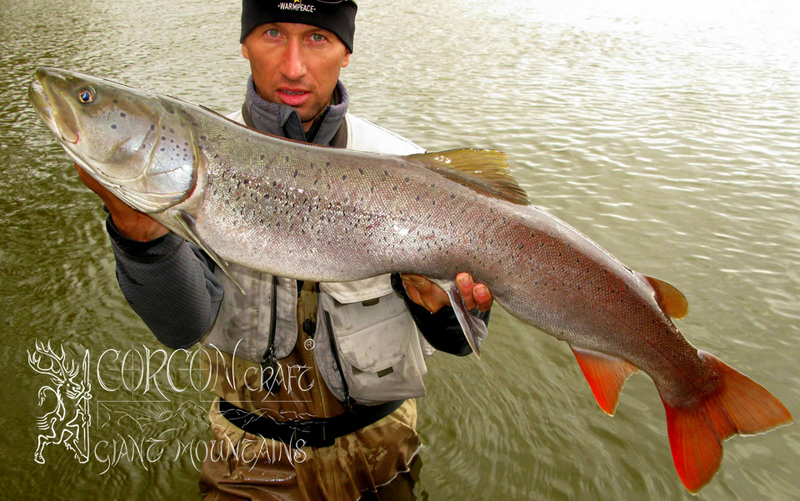 A shorter and economic Taimen Tour with a very fair rate for first-class fishing.